A passionate educator who embodies the spirit of a lifelong learner, Ms. Mousumi Choudhury engineers the Mathematics program at Ekya for Kindergarten to Grade 4, also planning the English curriculum for Kindergarten and Grades 5 and 6. Having begun her role at Ekya as a teacher, Ms. Mousumi’s area of expertise was company law before turning to education. She holds a Bachelors of Commerce from Mumbai University, an LL.B from Mumbai University, and a Bachelors of Education from Lucknow University. Ms. Mousumi has been part of the Ekya School ITPL community since 2012, having developed Ekya’s Reading Program for Primary and Middle School. Q: What do you do at Ekya Schools? How does your day of work typically go at Ekya Schools? I am currently part of the Ekya Learning Centre, looking into curriculum development. My areas of research include Mathematics for Pre-primary and Primary School, with English for Kindergarten and Middle School. My typical day at Ekya starts at 8 AM. At Ekya Learning Centre, we map out the curriculum that makes way into our classrooms, every lesson, every activity is detailed and designed using the framework and standards from schools across the globe. We plan different parts of the curriculum using appropriate content, meaningful assessments and grading criteria. I work on building units for the abovementioned grades using the Cambridge framework for our English program and Singapore Math for Mathematics, designing the program of work for teachers to follow and prepare review papers for the students. Q. How is the culture here at Ekya? How is it working at Ekya? At Ekya, our culture is one that fosters collaboration, growth mindset and peer affirmation. We value and treat each other with respect and give constructive feedback. We nurture our teaching and administrative faculty with empathy and compassion. Q. How did you transition from your previous role to the one you hold at Ekya right now? Work in my previous role was cutting edge and had a lot of scope to grow and learn. However the hours were long and it kept me away from my family, which I began resenting. Once at Ekya, I found that I worked hours that suited my family – I was now closer to my kids as they were studying at the same school. It also keeps me connected to what is happening in education, a landscape right now that is seeing so many exciting changes. And at Ekya, we are leading that renaissance, moving away from rote-learning to a more experiential, immersive set-up. Q. How have you changed as a person, coming in from a corporate fold? There has been a significant change in my thinking and approach to life. I have developed empathy, compassion and a deep sense of love and responsibility towards children other than my own. I value my job and my interactions with my students very highly. I can see the impact I have on my students, which makes me want to learn new things, new ways of doing things and never lose sight of the big picture – how can we as educators help our students learn better? Q. Have you always wanted to be part of an educational set-up? How has Ekya helped you find your feet? I had never imagined myself to be part of an educational set-up, especially after graduating from my Law program. But, once I decided to transition, I was given wholehearted support by the Leadership at Ekya. Through orientation and training, I was given the required guidance necessary to become a teacher. 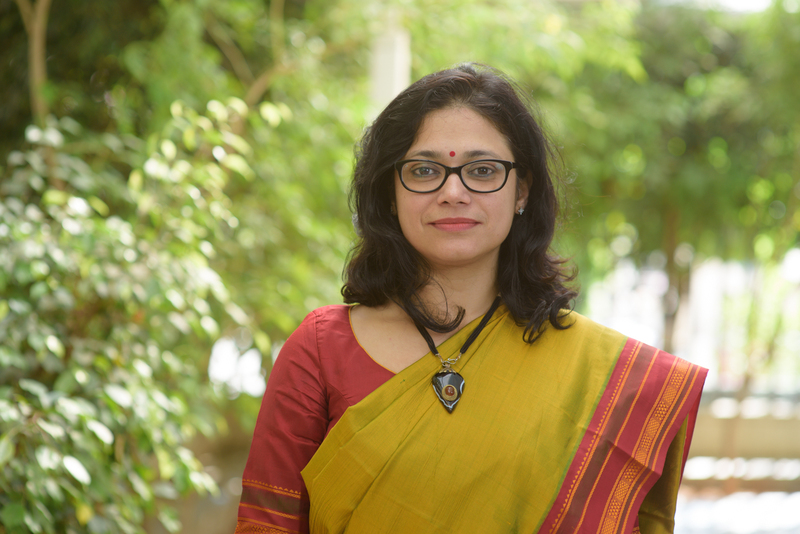 Frequent staff meetings and one-on-one sessions with our mentors helped me discover myself and also enabled me to take on bigger challenges in my teaching career at Ekya. And at Ekya, we are doing exactly that! Using immersive and experiential teaching methods that help students live the lesson, our schools enable students to explore, understand, build memories and become lifelong learners. And to help them become lifelong learners, we are looking for space explorers, painters, and inventors who teach! We are hiring! If you are considering to become an educator, to make a career switch to teaching – one that is dynamic and multi-faceted, we look forward to your application here.